sailboat. 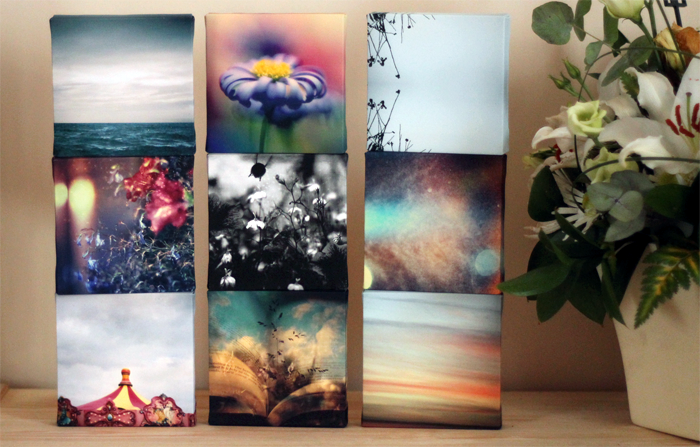 : Super Sweet Miniature Photo Canvases! Sometimes, really lovely opportunities come along at the right time, I realise how incredibly lucky I am and because of that I only mention the things I really like, would recommend and would purchase myself. YourImage2Canvas, a company which has a very self explanatory name - nothing like being straight to the point, offered me a gift card and I can't lie, I jumped at the chance! Being the rubbish decision maker I am I couldn't decide which image to choose, so I went for 9 (yes nine, told you I couldn't decide!) 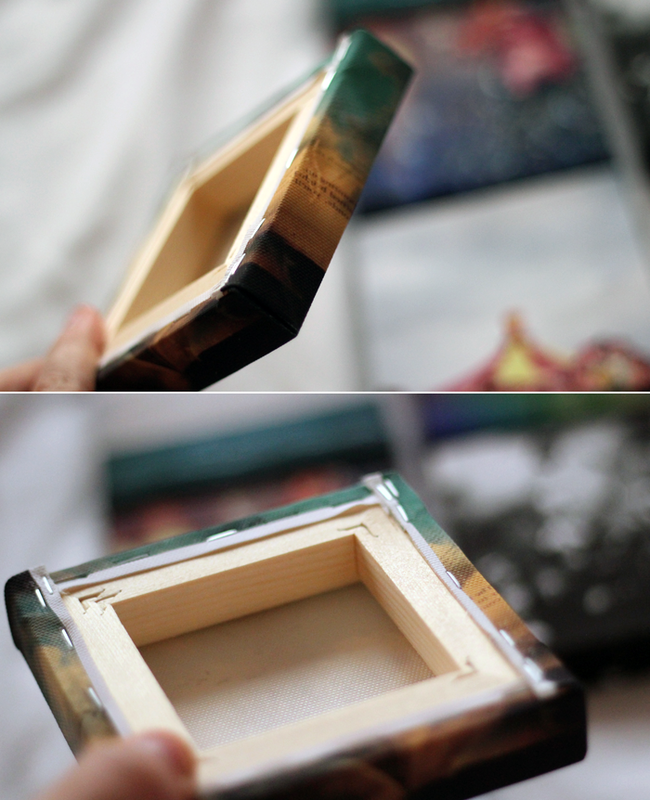 of the mini 4x4 inch canvases. Quality wise I wasn't exactly sure what to expect because I've had some really bad experiences with canvas printing companies before, but I'm happy to say that these are perfect. The colours are absolutely beautiful and completely true to our original images, the wooden frame is sturdy and the canvas is stapled securely. I opted for the mirrored edge of the canvas but you can have plain white, a traditional gallery edge or a colour of your choice and I think it's really nice to have the option to choose. The most impressive part, aside from the quality of the print of course, and the reason why I'll be making another order is the delivery time. I ordered very late on Friday night and they arrived, securely bubble wrapped, on Tuesday morning. 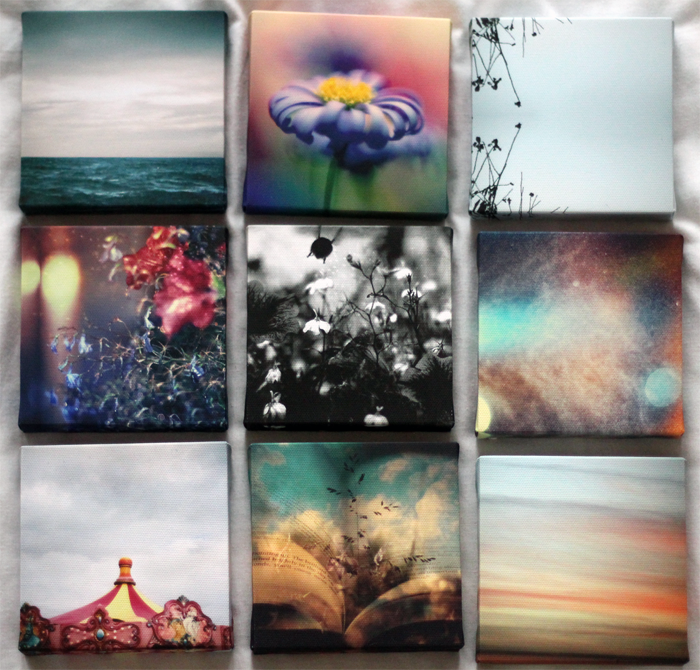 There's currently a 3 for 2 offer on all canvases (for the next 12 hours! ), so my order came to just over £50. I'll admit that sounds a little on the pricey side, but from my experience it's actually a really really good deal. Now I just have to persuade Mark to help me hang them, I don't think he's looking forward to that part but I'm excited to see how it looks when it's all finished! 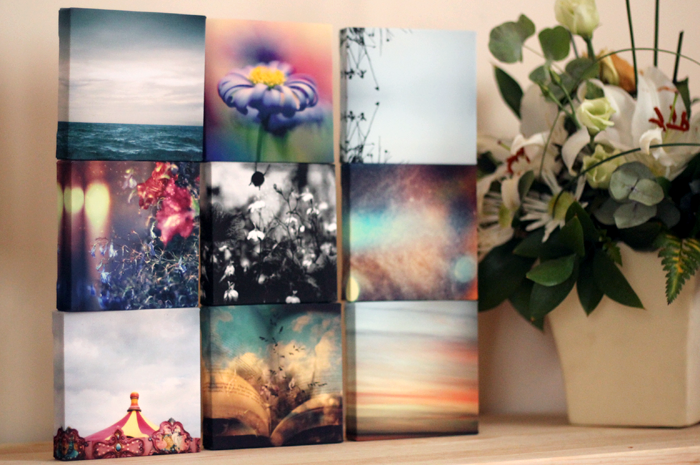 Have you ever had one of your photographs printed to canvas? Ah, these look gorgeous!! I think when me and ben own a home we will be doing things like this!! Honestly, these are so pretty! Miniature things are always so much better than full size, hahaha. 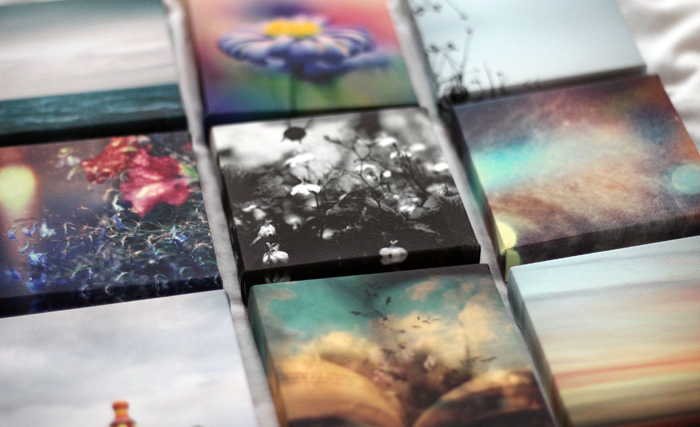 What a cute idea to have a collage of mini canvases. A tip to hanging pictures that require two nails in specific spots, take a piece of painters tape (or any coloured tape not clear) and stretch between the two holes, then put the tape on the wall and put nail on either end. Saves the having to measure and write on walls and get mad when you measured wrong haha. Also if theres spots that stick out you can stick a little toothpaste on the picture frame, then when pushed against the wall you've got spots to nail into. Then just wipe off. My boyfriend is also in charge of nails in our house - I just stand back and give directions on where to put the pictures! Jennie these are beautiful! I defos need to go order some right now! I love this idea! Sooo cute. My boyfriend put an awesome photo I took in Cambodia onto a canvas and I love it. The plan is to cover our future home in photos from our travels! This is gorgeous! Expensive but so worth it. I may have to order 4 of the 4 x4 images!